Ever hear those jokes; there are two kinds of people...etc, and then followed by something witty. There are two kinds of people, New Yorkers and "Out of towners" (if you live in New York). There are two kinds of people; those who divide the world into two kinds of people and those who don't. Well, here is a new one, but with a different ending. There are two kinds of students; those who come to learn and those who do not, only that those who do not come to learn do not have the right or the honor to call themselves students. I call them spectators, or distractions. In Judaism the term "student" is one of great honor. In fact a scholar is simply called a "Wise Student", in our way of life there is no greater honor. There is only one kind of student; one who comes to learn. 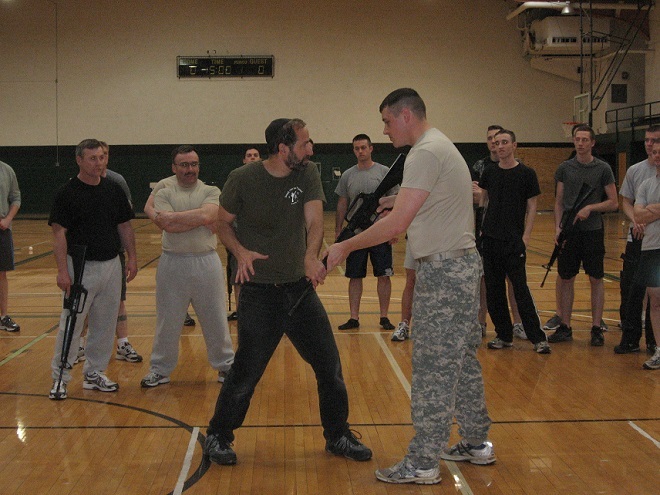 There are many people out there in the Krav Maga world who believe there is a "style" of Krav Maga called, "Military Krav Maga" but this is not true, it is a myth and I have researched and written a great deal about it. I am prepared to defend myself on this point against all challengers. My words are based on extensive research and 25 years in the field. I have taught military units, the only difference is the emphasis. In other words if I am dealing with a city population we might focus on hand-bag grabbing or car-jacking, every location is different. If I doing a course for city dwellers we will not focus much on defense vs. an M-16 rifle. But with military, yes, we will focus on that. It is not a different style of Krav Maga, it is one Krav Maga that can, and must, be applied to many different situations. 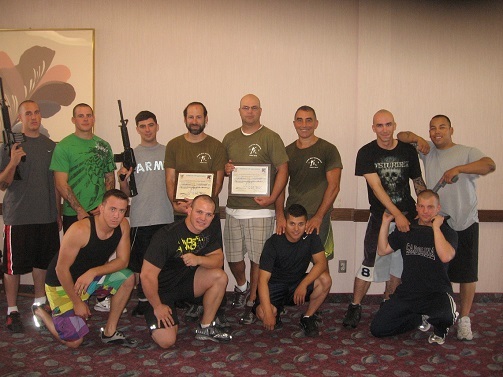 If a soldier is off duty does he switch from "Military" Krav Maga to "Civilian" Krav Maga?, the very thought is absurd. I repeat, it is a money making idea. Imagine, a student from Holland approached me, he said he was a member of an organization that charged (5 years ago) $1,800 per year to "re-certify" but that only applied to "Civilian" Krav Maga. If he wanted to teach police officers there would be an additional certification fee of another similar sum. Beginning to see the advantages of this idea? There is one Krav Maga but it must be flexible enough to apply to many different situations. I teach different endings depending upon the attacker and the defender. Come to my class to learn more about this. And we must take the country or region into account. Each country, each region, each city is different. In Johannesburg, South Africa there is a big problem of armed men taking your car. In Durban, South Africa there is the problem of men who go to the Witch doctor and take special potions to make them "immune to bullets" (by the way, empirical studies show that these potions have not been successful). In Slovakia there are certain styles of knife attacks, each region and its challenges, but it is only one Krav Maga. Each group, each region, is a little different, it is the job of the professional instructor, with years of experience, to see what needs to be taught. I have seminars with young men, strong and tall. But, in the same class I might find an older overweight woman, but it is the same Krav Maga. How can it be the same? It is! Only the application might be a little different for each person. 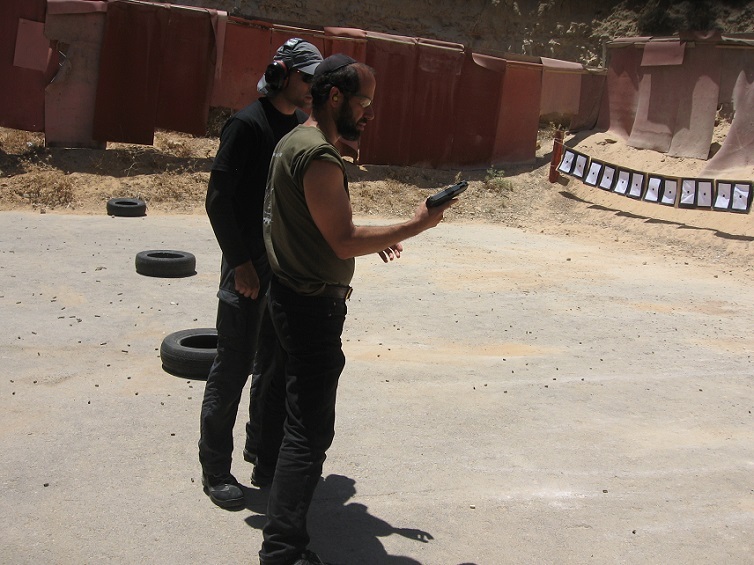 Moshe teaching elite Special Forces, USA. He was flown in by the US government for a special course. Just today I was speaking with Juergen Kohler, IKI Black Belt instructor, Germany. He was telling me about a certain student, who's name I cannot mention. He said please do not use his name as he has a top position in the security field and we must not discuss it. Now, think about it, this young man has come to many of my seminars. He never said, "Moshe, I am in the security field, I work with such and such ...I need special Security Krav Maga'. No, he never asked any such thing. Why? because the Combatives, the gun disarms, the knife defense are all perfect for his work. He understands, as a professional, that there are no special "Police knife disarms", it is all the same, for everyone. So many times it has been the case; I teach a full day seminar, and at the end some guys come over and introduce themselves and say, "We are State troopers", or, "We are Corrections Officers in a maximum security prison", or, "We are presidential guards", "and we really enjoyed your seminar, everything is so simple, easy to learn, it is perfect for our work, just what we have been searching for." 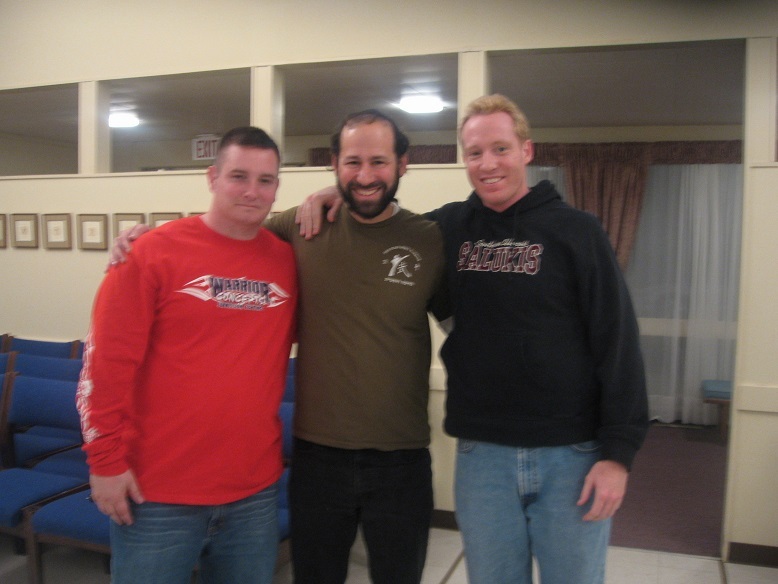 Moshe Katz with USA army, infantry unit, California. So I will say it again; I have worked with them all. See my resume. Everything is the same, only the emphasis changes with different groups. If someone advertise "Krav Maga seminar for police", OK, but if he advertises, "Police Krav Maga", then you know right away it is a money making deal and it is not real. Stay away, be warned, this is a waste of time and money. There are many instructors out there who will say anything to get your money. Back in 2009, two Corrections Officers in a USA Maximum security prison. They felt our style was perfect for their work. But, just regular guys at the seminar, I did not know their professions until after the seminar. One Krav Maga fits all. Moshe on Counter Terrorism base, the training never ends. Always learning, always growing. Do you know the Fighting History of Israel?